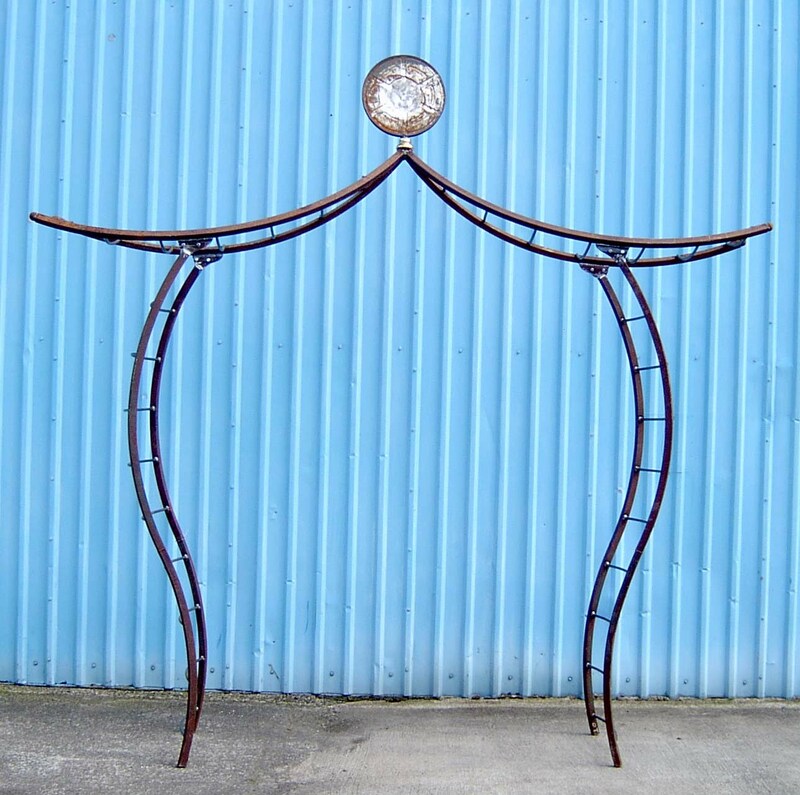 This 10 foot tall arbor was made completely from recycled junk. The curved sides and top are pieces of large pipe spools. The crossbars are chopped up rings from an old wooden hot tub and the crown piece was made from a film container welded to a piece from a bed post.